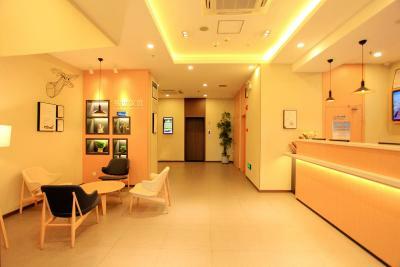 Lock in a great price for Hanting Hotel Kunming Railway Station Branch – rated 8.2 by recent guests! 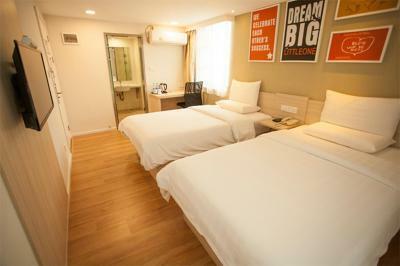 Great location to railway station and eateries nearby. Helpful and friendly staff. Easy to walk to South ring road station and have many food to taste. Staff are service mind but a little bit English. Super close to the train station! The staff went above and beyond to help us! It was fantastic! 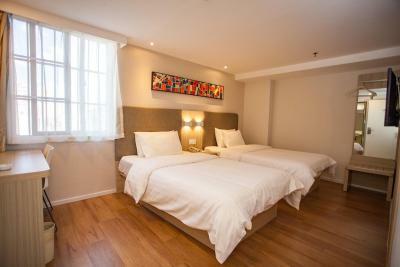 The room was clean and comfortable for the price. The hotel is very close to the subway. Not far from airport shuttle bus but quite far from subway. Early check-in is possible. 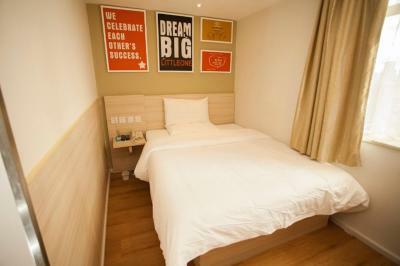 Great location,close to subway.can walk to kunming railway station,clean and comfy bedroom. 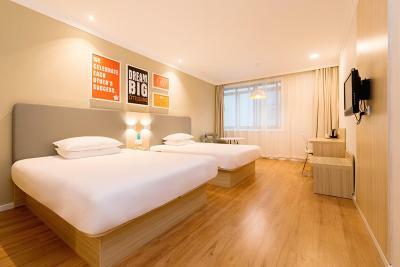 The room is clean and tidy. All facilities in the room is good. 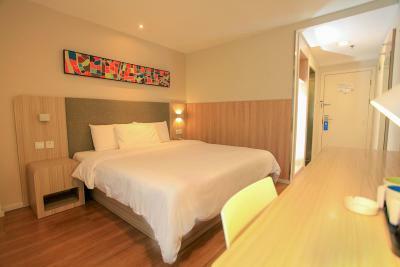 The hotel location is not far from the South Ring Road Metro Station. it is within 5 mins walk. 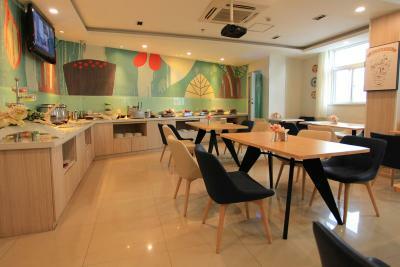 There are many restaurants and shops around the hotel, so it is convenience. Quite close to Kunming railway. Nice places to grad street food breakfast are just along the street. Stores for water and fruit are also close. Super easy to find! 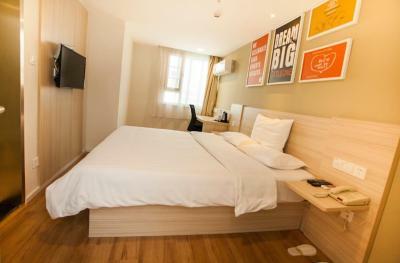 Room was clean, modern, a bit small. Very soft beds. Elevator available. 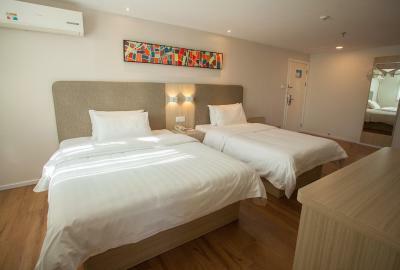 Pricey for a backpacker, but we only stayed one night, because we needed a place close to the railway (15 min walking). One of our best sellers in Kunming! 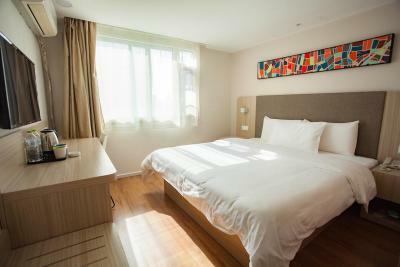 Hanting Hotel Kunming Railway Station Branch is located in Kunming, within 1.6 miles of Golden Horse and Jade Rooster and 1.7 miles of Kunming Hall. 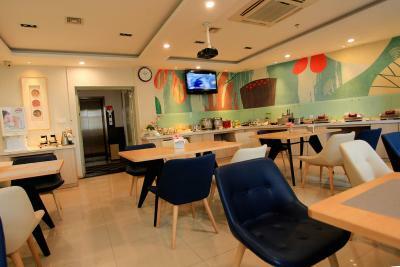 Located in the Guandu district, the property provides guests with a restaurant. 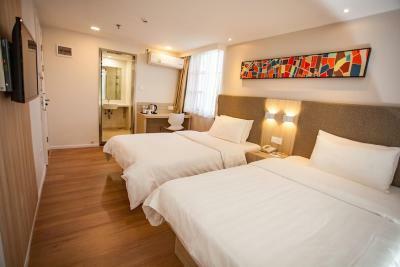 Kunming International Convention and Exhibition Center is 2.5 miles away. 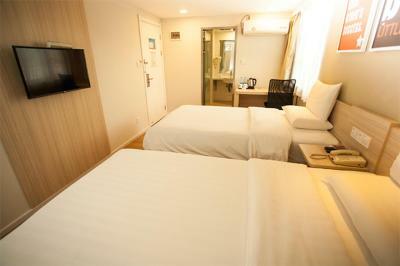 All guest rooms at the hotel come with a seating area and a flat-screen TV. 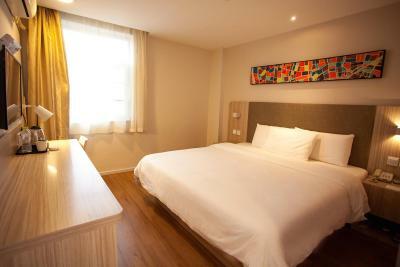 The rooms come with a private bathroom with a shower, while some feature city views. 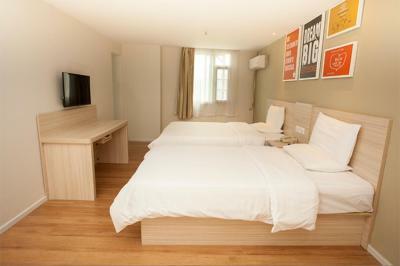 All rooms feature a desk. 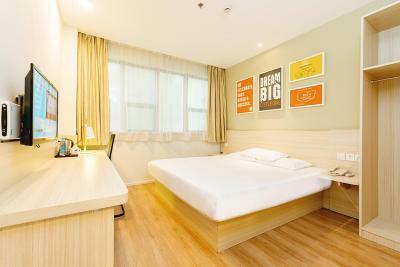 Kunming Changshui International Airport is 19 miles from the property. When would you like to stay at Hanting Hotel Kunming Railway Station Branch? 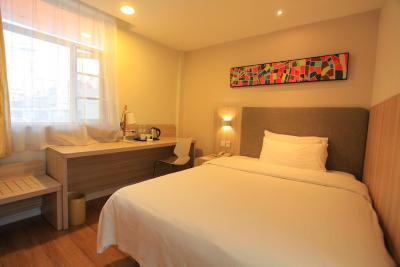 This twin room has a tile/marble floor, flat-screen TV and seating area. 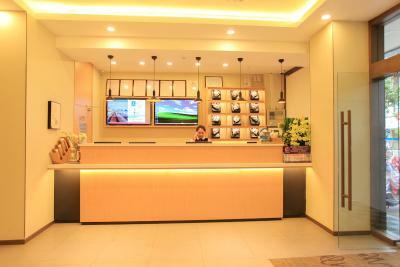 House Rules Hanting Hotel Kunming Railway Station Branch takes special requests – add in the next step! Hanting Hotel Kunming Railway Station Branch accepts these cards and reserves the right to temporarily hold an amount prior to arrival. The bathroom door is almost transparent. Suggested to cover it. 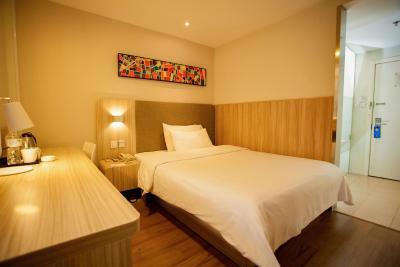 The bed is comfy enough with the good price is worth to stay at this hotel. I stayed on the 8fl but still hearing noice from the neighbour. The room may be too small for our comfort. 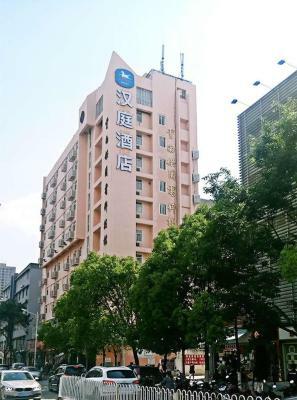 Just walking distance from busy Peijing Road, this hotel offers the convenience of many restaurants and shopping malls in the neighbourhood. The shuttle bus terminal to Changsui International Airport is nearby and Kunming Railway Station is further away. The location, closed to railway station. Took didi could saved lots walking for 8 rmb only. The bed is comfortable and the room is clean. Clealiness. Some trash left in the bathroom and small area of wet floor ,near to the bed. 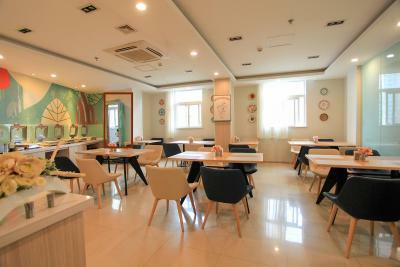 The location is good, near to Railway Station, many food shop & shopping. Nearby have airport bus stop. 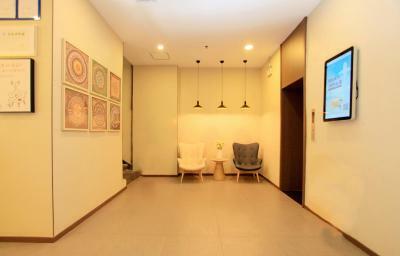 Good location near train station. Would stay there again. 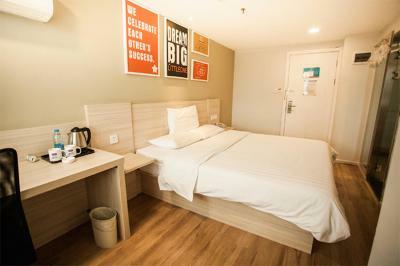 non smoking room with cigarette smell. people smokes in every corner of the hotel even in the air cond area in closed room. during our stay there was internet connection problem but they manage to solve the probs. no 3 in 1 coffee or tea in the room. booked for family room for 3 adults, however got 2 bed with a pair of toothbrush, mugs, towels, slippers and other things. 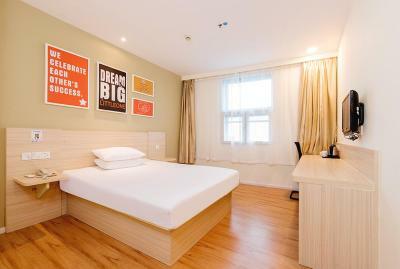 nice room space and facilities. location quite strategic.can early check in. you just need to walk around 1.8 km to find nearest mosque and plenty of halal stall. The laundry for clothes is not very good and some of the staff at the desk are not very helpful.